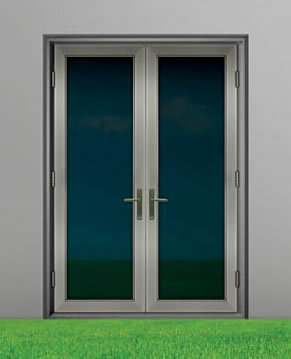 Keltic 7080 Series Hinged Doors Yellow Dog Windows, Inc.
Clear Anodized and Bronze Anodized finishes standard. Other finishes available. Looking for performance and value to match your next project? 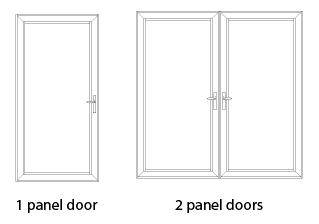 Look no further than our Keltic 7080 Hinged door. 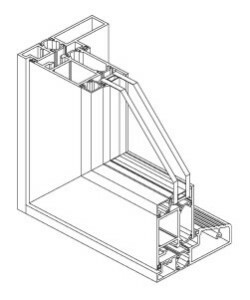 The Keltic 7080 Door offers high performance and outstanding value for residential housing units and nonresidential commercial projects. The out-swing model is available with 1 panel or 2 panel operation. The 7080 panel is 2¼” thick with a 1” x 4½” frame and features a fully thermally-broken system to improve thermal performance. 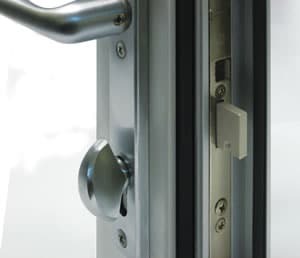 The 7080 door also includes multi-point hardware and dead bolt for maximum security. 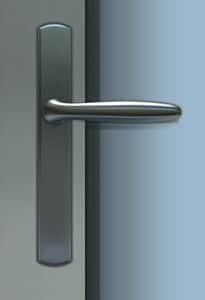 Multi-point Hardware — complete with stainless steel handle with a one inch dead bolt for maximum security. 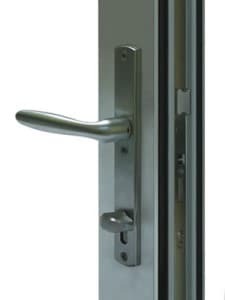 (Optional keyed locks are available) Hinges available to match door finish.